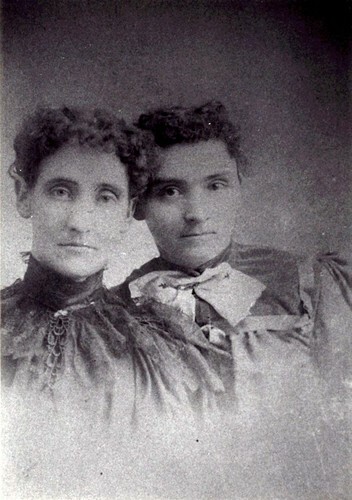 Annice Gallup, d. of Beniah and Sally (Crozier) Gallup, b. Halifax, Windham County, VT., 4-18-1822; d. Lake Belt Township, Martin County, MN., 7-4-1911; c. 1827 moved with parents and siblings to Searsburg, Bennington County, VT.; after marriage moved to Washburn County, WI., where the family remained for eleven years; c. 1854 moved to Saratoga Township, Winona County, MN., where her husband had wintered 1853-1854 at the Blair settlement; thirteen years later moved to Lake Belt Township, Martin County, MN., where she remained until her death at age eighty-nine; md. VT., 10-14-1842, Lysander Kately, s. of John Kately, Jr., and Olive (Maxwell) Kately; he b. MA., 9-23-1820; d. Lake Belt Township, Martin County, MN., 12-24-1906. 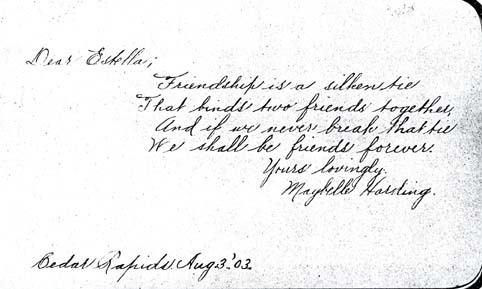 Franklin W. Kately, b. Bennington, Bennington County, VT., 9-30-1843; d. Ceylon, Martin County, MN., 1-13-1918; md. 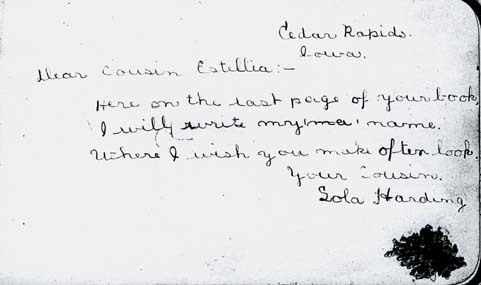 (1) St. Charles, Winona County, MN., 11-26-1865, Caroline Olson; she b. Norway 11-25-1845; d. Martin County, MN., 12-10-1909; Franklin md. (2) Estherville, Emmet County, IA., 3-12-1912, Sarah L. Chesley. 1) Nellie Florence Kately, b. Lake Belt Township, Martin County, MN., 5-15-1867; d. Lake County, MN., 10-20-1958; md. (1) John Henry Helm; he b. PA., c. 1840; md. 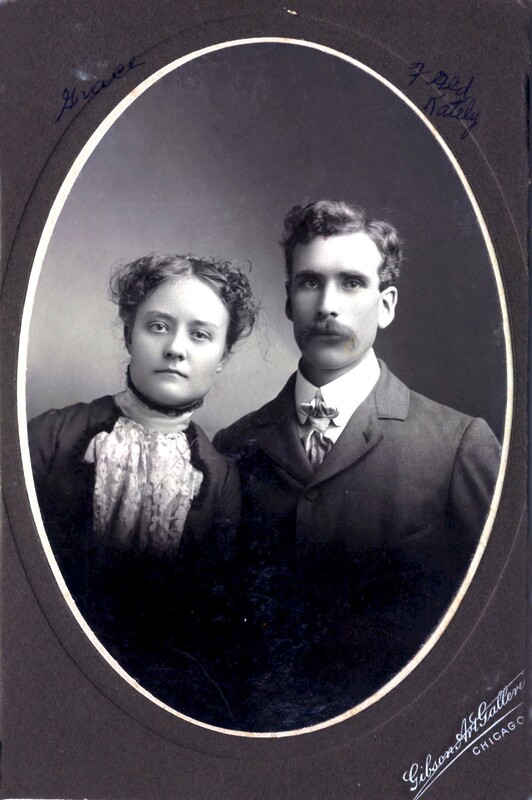 (2) St. Charles Township, Winona County, MN., 7-4-1885, Edgar Hiram Harding; he b. Utica, Winona County, MN., 1-5-1862; d. Belle Plaine, Scott County, MN., 9-1-1901. 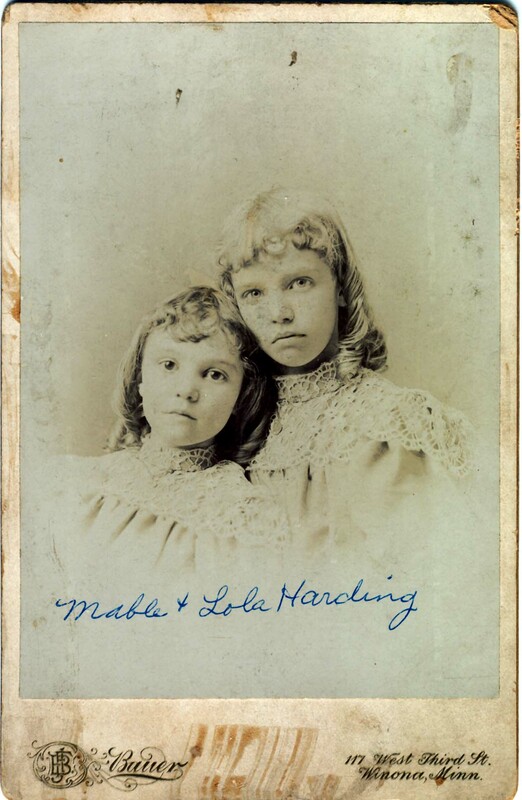 Nellie Maybelle Harding, b. Saratoga Township, Winona County, MN., 11-7-1886; d. Denver, Arapaho County, CO., 6-21-1971; md. 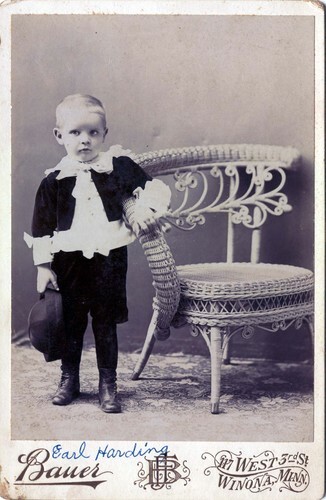 George Silas Ewins. Lola Fern Harding, b. Fremont Township, Winona County, MN., 11-23-1888; d. 7-22-1904. Earle Hiram Harding, b. St. Charles, Winona County, MN., 4-15-1891; d. Orlando, Orange County, FL., 5-( )-1976; md. Effie Jannet Loverin. Gracie Hazel Harding, b. 9-22-1894; d. Winona, Winona County, MN., 5-9-1895. 2) Lucius L. (or Highland) Kately, b. Lake Belt Township, Martin County, MN. ; d. Mountain Lake, Cottonwood County, MN., 1-7-1967; md. 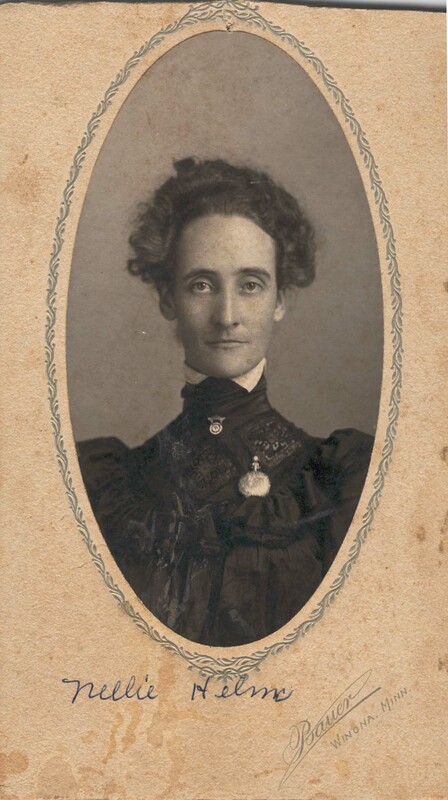 Bessie Isabel Gardner. 3) Frederic A. Kately, b. Lake Belt Township, Martin County, MN., 5-12-1874; md. Grace ( ); she b. MN., 5-( )-1881. 4) Harry Ruben Kately, b. Martin County, MN., 10-25-1876; d. 6-14-1903. 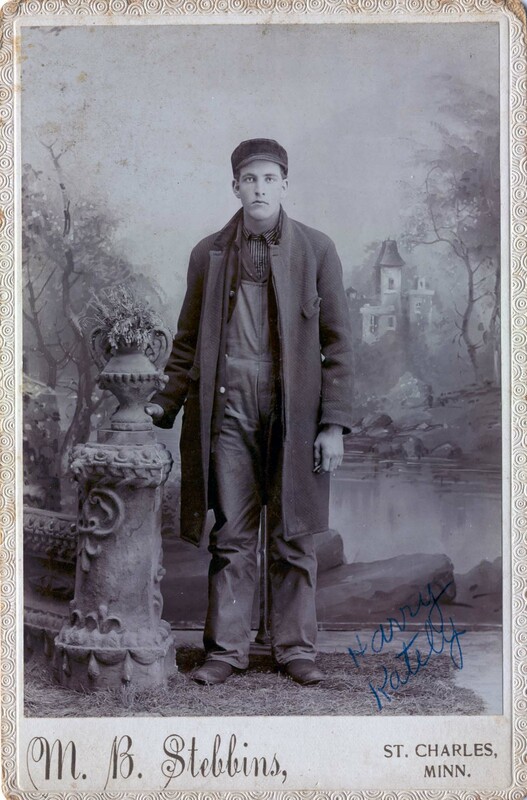 5) Arthur Herman Kately, b. Utica, Winona County, MN., 6-12-1880; d. Des Moines, Polk County, IA., 2-8-1956. 6) Sarah Maybelle Kately, b. Lake Belt Township, Martin County, MN., 11-30-1883. 7) Lillian M. Kately, b. Lake Belt Township, Martin County, MN., 1-7-1887. Mary J. Kately, b. VT., 2-( )-1845; md. c. 1876 Jacob M. Riser. 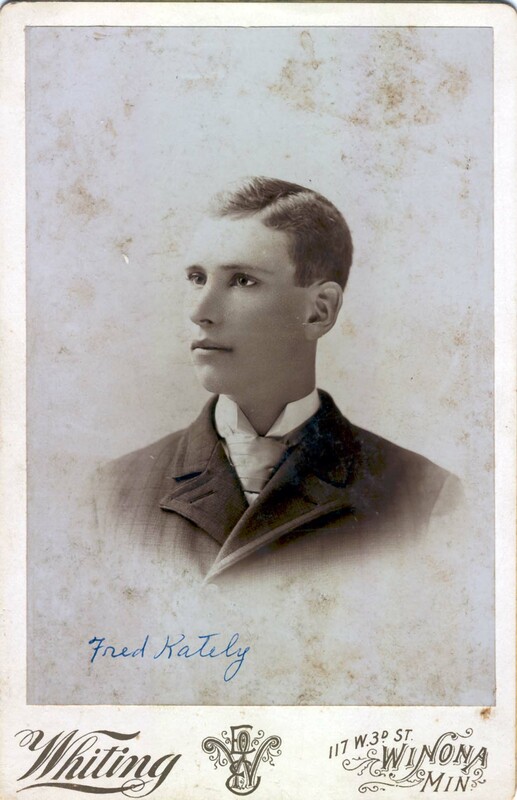 Oscar Kately, b. VT., 10-8-1847; d. Martin County, MN., 3-5-1911; md. (1) Emma ( ); md. (2) Alice Towers. Lyman Kately, b. Gull Lake, Washburn County, WI., 1849; d. Lake Belt Township, Martin County, MN., 1918; md. (1) Martin County, MN., 6-29-1870, Ellen Babcock; she b. 1847; d. Lake Belt Township, Martin County, MN., 5-28-1871; md. (2) Lavilla A. Akeley; she b. MA. 2-5-1843; d. 9-26-1889; md. 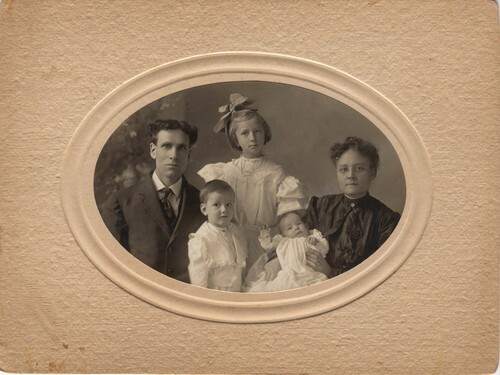 (3) Stinnett Township, Washburn County, WI., 6-28-1895, Hannah Melissa Graham Wickham; she d. Stinnett Township, Washburn County, WI., 3-6-1936. Alfred Herman Kately, b. Winona County, MN., 5-19-1858; d. Tenhassen Township, Martin County, MN., 5-29-1896; md. 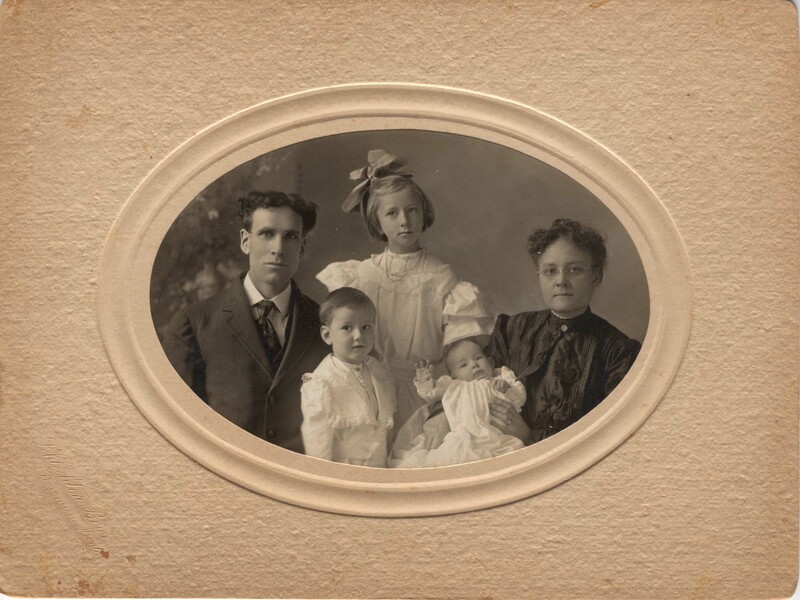 Tenhassen Township, Martin County, MN., 3-29-1879, Lucy Almine (or Alice) Wickham. 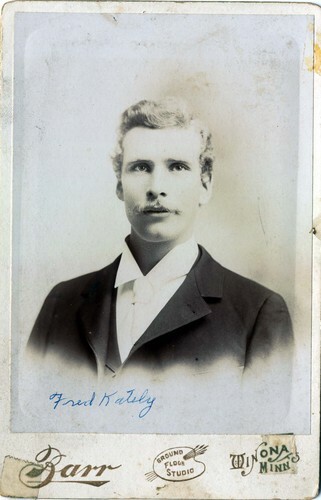 William Herbert Kately, b. MN., 4-23-1862; d. Lake Belt Township, Martin County, MN., 2-12-1929; md. 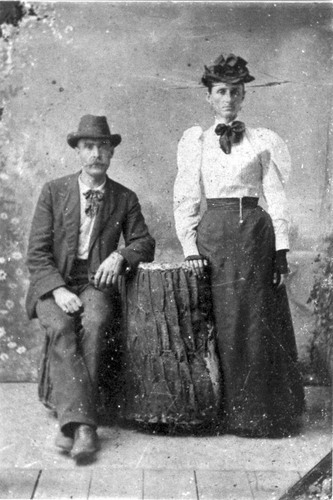 Lake Belt Township, Martin County, MN., 12-24-1890, Sarah Jane Jossart; she b. WI., 11-21-1868; d. Lake Belt Township, Martin County, MN., 7-10-1932.